As it is with every smartphone prior to its launch date, there must be leaks and rumors here and there, some of which might be true, and most of them false. Today we'll be discussing a particular rumor that has erupted prior to the launch of Infinix Latest smartphone, the infinix Zero 5, which states that the smartphone will be coming with a bezeless screen on an 18:9 aspect ratio. 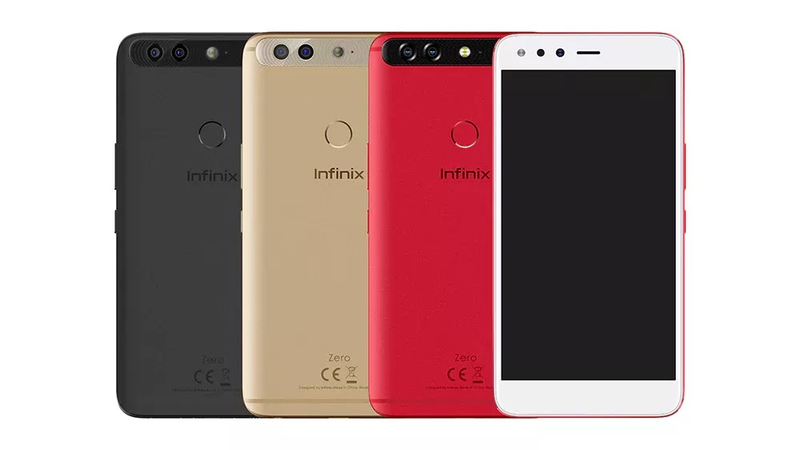 So in the case of the infinix zero 5, i just have two words to tell you "Forget It".. I guess you don't, but the reason behind my strong belief is this: First of all, we all know that both Tecno and Infinix smartphones are both owned and produced by Transsion Holdings, and if you've been following their style of producing and launching phones for a while now, you will notice that whatever is done to Infinix must be equally done to tecno, and whatever is done to Tecno, must be equally done to infinix... Let me give you an example..
Last year when Tecno Phantom 6 and Infinix Zero 4 was released, that was the year Tecno launched their own customized UI and called it the HIOS, Infinix did the same by launching XOS. Still on last year, Tecno released two versions of their Phantom 6 ( Phantom 6/6+ ), infinix did the same with the Zero 4 and Zero 4+, so can you see how the progression goes, and mind you, these phones have the same amount of RAM and internal storage.. So the point i'm trying to make here is this; they must all follow the same footsteps,because they are owned and managed by one Company. Since the newly released Tecno Phantom 8 didn't come with a Bezel-less display, because we also heard such rumors during its own time, then that means the Infinix Zero 5 wouldn't be doing otherwise. Whatever you can't find on Tecno, you also can't find it on Infinix and whatever you can't find in Infinix, you also wouldn't find in a Tecno device. So can we literally say infinix was trying to play scam on us or what..
that one is normal, all phone manufacturers release dozens of phones during the year. if they don't release phones,how will they make sales?